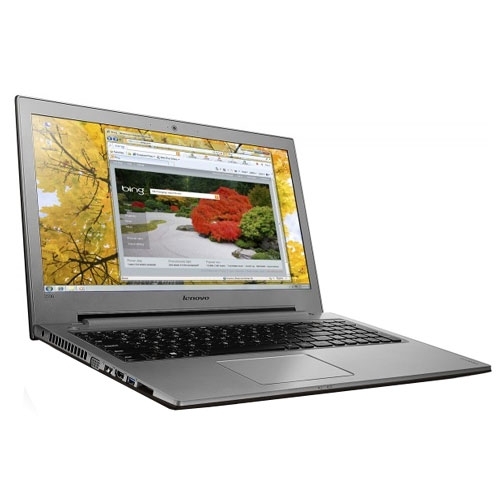 IdeaPad Z510 is the latest multi-media laptop from Lenovo which comes with a dedicated NVIDIA graphics solution. 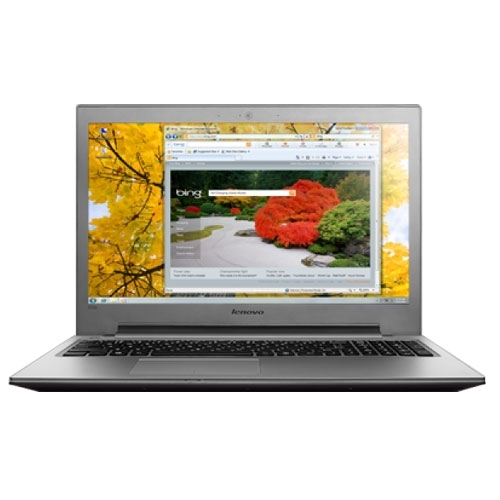 Lenovo has released the multi-media focussed IdeaPad Z510 in India and it's primarily meant for the home user. Featuring a 4th generation Intel Core processor and a dedicated Nvidia graphics solution, Lenovo has managed to make it a laptop to attract those looking at a portable gaming PC as well. But is it worthy enough to replace your old laptop or even that ageing desktop? Let us find out. 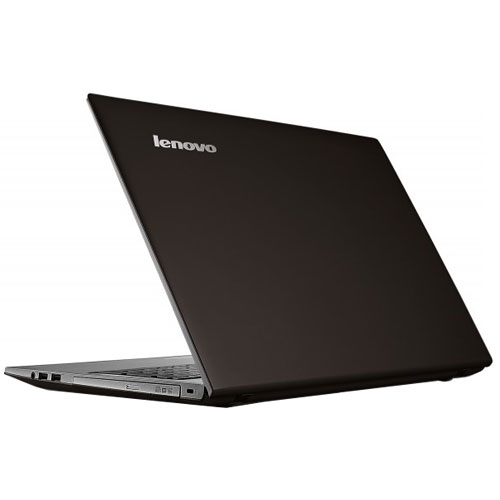 The Lenovo Z510 is a well built laptop with a matte-coloured finish on the top flap and a metal-brush finish on the palm rest area. At 2.2kg it is certainly heavy and not ideal to carry around. Opening the laptop is relatively slower thanks to the big screen and a sturdy hinge, which allows the screen to open up to 120 degrees. On the under side of the laptop, you have four large rubber feet which help get the laptop get a good grip on a flat surface. Considering the size of this laptop, using it on your lap while working will get uncomfortable after some time. It boasts of a full-sized keyboard with scalloped keys. The keyboard is backlit and you can adjust the brightness of the backlight. There is a complete number pad on the right hand side. The keys are well built and have a decent amount of travel. For someone moving from a non-number pad keyboard to this, the layout will take some time getting used to. The mouse trackpad is placed in the left of centre and is a monolithic design. We are not fans of monolithic designs on trackpads and in terms of usability, this one disappoints as well. You are much better off using a dedicated mouse. The Lenovo Z510 has a slightly tapering design when seen from the sides. On the left hand side coming from top to bottom, you have the power port, an air-vent, D-sub out, LAN port, HDMI out and two USB 3.0 ports. Similarly on the right hand side, you have the DVD writer, a USB 2.0 port, an SD card slot and a 3.5mm audio-jack. Up front, you only have the status indicators. Lenovo Z510 comes in two variants - one with the touchscreen and one without. We tested the non-touchscreen version code-named Lenovo Z510 (59-405848). It houses an Intel Core i5-4200M which is a dual-core processor with hyper-threading clocked at 2.5GHz. The maximum turbo frequency goes up to 3.1GHz. It houses the Intel HD4600 graphics with Intel QuickSync Video. The Z510 comes with Windows 8 on board and has 6GB of RAM. We were glad to see a 1TB hybrid drive within the laptop instead of a regular HDD. It houses a dedicated Nvidia GT 740M graphics solution. The 15.6-inch monitor has a resolution of just 1366x768pixels. The display on the Lenovo Z510 is good enough, but we were surely expecting better. The idea to go ahead with a matte finish on the screen is a good move, as it does not reflect much of the background, but we were expecting a full HD panel at the very least. The viewing angles are not the best either when compared with some other laptops we have seen in the past. We ran the PC Mark 8 benchmark and got a score of 3388 on the Home preset and 4992 on the Work preset. This is higher than the 2563 (Home) and 3924 (Work) we got on the Toshiba Portege Z10t-A. The other performance scores are as seen in the table below. Watching HD movies is a good experience. Thanks to JBL speakers, the audio is quite loud and clear. In a single room, it is loud enough to watch a movie without any external speakers. It can playback full HD movies as well with CPU utilisation not crossing 20 per cent. Considering the Lenovo Z510 houses dedicated GT740M graphics, we decided to try out some games on it as well. As the resolution is limited to 1366x768, we could play some older titles without any issues. Bioshock Infinite gave a score of 41.7 fps at medium settings whereas Sleeping Dogs gave a score of 57.5 fps on medium settings. Battery life was a huge disappointment. On heavy load, it lasted just around 2 hours which is the lowest we have seen since the last couple of laptops we tested. On regular use, it will easily last around 3-4 hours, but considering this is a laptop being targetted for home use, where you will not be far from a plug point, the lower battery life may not be as much of a bother. However, if you are planning to work on the go, then it might be problematic over a couple of hours. The Lenovo Z510 comes at an MRP of Rs 55,630, but a quick online search will land you one for around Rs 54,000. Pricing is not bad considering the features and performance on offer. Another option you can check out is the Dell Inspiron 15R (Rs 52,000) which also comes with a 4th gen Core i5 processor with dedicated graphics solution and a 6-cell battery, although the 15R is heavier. Lenovo Z510 gives decent performance when it come to most real life tasks. For home use, it is a good choice as the weight and the sub-par battery life do not really make it ideal to be used while on the move. For someone looking to save space by replacing their desktop with a laptop, the Lenovo Z510 is a good buy. The use of a hybrid drive makes startup times, application loading times much faster as compared to a regular hard drive. 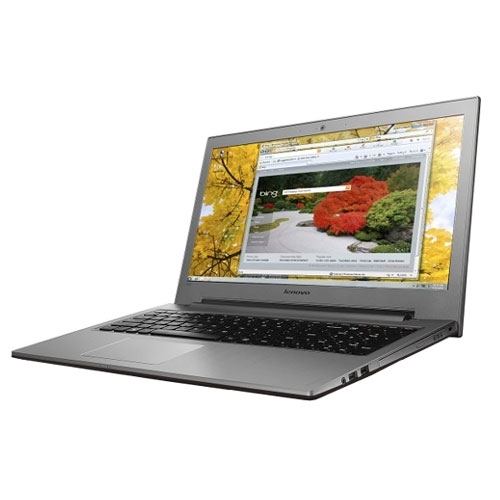 Lenovo IdeaPad Z510 (59-387061) comes with Intel Core i5 4200M, 4GB RAM, 39.6 cms (15.6\") HD LED Anti-Glare (SLIM), 1TB HDD, Nvidia N14P-GV2 DDR3 2G, Windows 8.